Universal Book Club co-host Stephanie Dowrick asked Perth reader, Peta Kelly, to write for us on her personal "reader activism" , not least because we could not help but notice how actively she seeks out and responds to ideas, books, Stephanie's interfaith talks and videos - and how generous and upfront she is in her appreciation. That appreciation is contagious. Her reader activism is inspirational. We would have a different reading and writing world if there more Peta Kellys! I tend to see activating readers through the eyes of a teacher-librarian and I believe that, as a group, we teacher-librarians do it rather well. However, it has been six years now since I left the school library that I literally helped build from the ground up, including the collections and holdings and the library loans system and teaching programs. Sadly, not many of the teaching staff actually got what it was that teacher-librarians could provide them. I tried many ways of reaching them and generally I was an under-used resource. However, with the children and their parents I was a heavily used resource - and very happily so. Psychology beckoned, so off to university I went at fifty. It seems you can take the librarian out of the library but you can’t take the librarian out of the person! I missed my role of spruiking books and piquing reluctant readers' palates. I began to morph and really got into buying books for myself, first on how to get through a divorce and later on topics I would once never have considered, such as math, physics and statistics for dummies (from the famous "Dummies" series), the latter to support my course work. Entering the Castle, one of Peta Kelly's favourites. I had an undercover interest in clairvoyance through Hay House American author, Sonia Choquette, and also in spiritualism as I was trying to learn to drive my deepening clairvoyance. Meanwhile, my deepening spirituality led me to St Teresa of Avila, The Cloud of Unknowing, Henri Nouwen, Thomas Merton, Brian Weiss, Stephanie Dowrick [writer, and co-host of this Universal Heart Book Club] Caroline Myss - and many, many others. I also reacquainted myself with the philosophers I had studied only a few years earlier in the philosophy course I started at Notre Dame in Fremantle, West Australia. And when I found out last year that I had joined the ranks of those with cervical cancer I also was given and bought books on healing, health and spirituality. In that amazing synchronistic way of life, I met so many people who are also in treatment or recovering (funnily enough, not at the radiology clinic or hospital) and often was able to share books or titles with them. 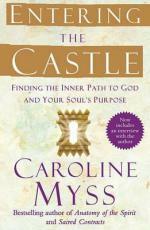 Stand-out books for me in this most recent time include Caroline Myss's Entering the Castle which reminded me that my relationship with God is through this corporeal self, and my wounds needed to be forgiven. Everyday Kindness by Stephanie Dowrick I bought as kindness for myself when I was told I had cancer and needed to see the goodness and kindness in life as my reality began to whirl. 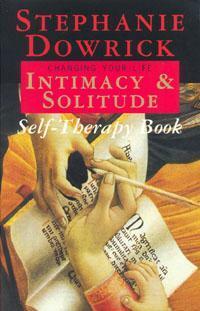 My daughter Pippa bought me Stephanie's Intimacy and Solitude Self Therapy Book, post radiation therapy. There is so much in this book that helped me find my feet/self/soul again. It is for me a book of a hopeful futures. I've clung to these beloved books in times of intensity. Now these same books can be read in newer, clearer light, giving me another view to encourage me to live the life I aspire to. A book that Peta Kelly found particularly helpful. My personal library grows in leaps and bounds. So does my passion for reading and buying books for myself, my friends and family, usually on topics I know that they need or would enjoy. Stephanie Dowrick’s books are in many of my friends' libraries, often loaned, rarely returned, so repurchased for myself. I would also have many discussions about what I was reading - or just had read - sharing and encouraging, and more often than not my friends would purchase those books and share their finds with me. I never got around to joining a local book club, even after many attempts: too time and money poor. But I would suggest it to anyone looking to grow their passion for reading. And what better way to share that passion than in the company of like-minded? I did, however, subscribe to the Universal Heart Book Club. It's free, and some of the books I already had in my own library. Now I hang out for each new video discussion and the written reviews by very talented people. Sounds like I am again spruiking! Well in fact, I am. Where do you get such treasure for free? As I am only on a student income, I would rather buy a book than go on a holiday. And I love the libraries available to me at tertiary level, especially the University of Western Australia's Reid library where I worked just before I got married in the early 1980s. 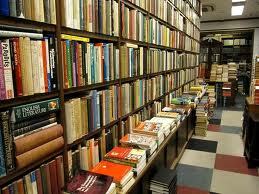 One day, when I finally graduate, I will travel to the places that my books reveal to me. Often people ask me what is out there in the bookshops that's appropriate for themselves or their children, and as I am in book shops regularly - browsing the shelves like a hungry shark - I am happy to tell them. I am always spruiking my favourite Perth bookshops: the BookCaffe in Mosman Park, the Lane Book Shop in Claremont, the Coop Bookshop at UWA and, of course, Dymocks. Just recently I have begun to purchase my books and CDs online at Stephanie’s [Collins/Seek, Sydney] Bookshop and am thrilled that they arrive in really good condition and within six days. I usually order on a Thursday and they arrive here in Perth by Wednesday, and they notify me of the process at each stage. It is so exciting anticipating them, and then receiving through the mail like the old days of snail mail. Recently I suggested to a lady who was interested in promoting and sharing her love of reading that there are programs in schools for grandparents to assist with reading sessions in primary schools. Or that she could join the "Adopt a Grandparent" program. Whenever you reveal a passion people will gravitate to you and an opportunity arises to share that passion. If you need information or a book title ask a librarian. Man, I love my passion and my life! Peta Kelly can be found on twitter with the very appropriate twitter nom de plume: @petalovesbooks. You will also find her comments and encouragement on these pages as well as on the Facebook pages she supports, including those of Stephanie Dowrick and co-host Walter Mason. And if you are inspired by Peta to buy more books - for yourself or others - note that you can buy any books through our bookstore book links (above right).